The popula rity of Spanish is soaring, both in the United States and in schools worldwide. What are the reasons behind this trend? Well, for one thing, Spanish is a language of increasing international importance. Here are the top five reasons to get yourself a Spanish tutor today. Spanish is relatively similar to English, making it one of the easiest, if not the easiest, languages to learn for your average American. It doesn’t have a completely alien-looking alphabet, unlike Russian, the rules for pronunciation and spelling are very straightforward, unlike French, and it doesn’t have an incredibly hard-to-master tonal system, unlike Chinese. In fact, Spanish is pronounced as it is written in the vast majority of cases, has only ten vowel and diphthong sounds (unlike English, which has at least twenty), and no unfamiliar phonemes, except the lovely ñ letter. I bet that you didn’t think so in your high school Spanish lessons, but learning another language is good for your well being and can improve your health. Knowing and using two different languages significantly reduces your chance of developing Alzheimer’s disease and other forms of dementia, according to research by NPR. It keeps memory sharp in the elderly, whilst it enhances the mental faculties, including creativity, of both children and adults. Experiments also reveal that using a second language helps you make more logical decisions, whereas using your mother-tongue is associated instead with emotional reactions. So using Spanish in a tight-spot might just help you get the best outcome! There are approximately 329 million native Spanish speakers in the world, and with Caribbean coastlines, teaming rainforests, and beautiful Latin American cities, it’s no secret that the Spanish speaking world has more than its fair share of the coolest places on the planet. Speaking the local language will allow you to leave the touristy areas behind and immerse yourself in another culture completely – and aside from the Americas, Barcelona and Madrid are not too missed! 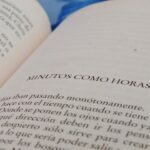 Not only do Spanish speakers populate a huge number of countries from Argentina to Mexico, but they also have access to some of the best books and films, including the work of Cervantes, Gabriel García Márquez, and Pedro Almodóvar. 37.6 million people in the United States speak Spanish as their first language, according to estimates, and that number is rising at a rapid pace fueled by immigration from Latin America and growth in the already sizeable Hispanic population. In fact, Spanish language is growing faster than any other non-English language, with analysts predicting that the US will be the largest Spanish speaking country in the world by 2060, up from fifth place at the moment. Spanish speakers currently form 16% of the population, and there are a number of reasons that you should want to improve your ability to communicate with this group, from financial incentives to more romantic ones. With such a huge Latino population in the US, comes a huge amount of purchasing power, with analysts predicting that the Spanish speaking market will account for $1.5 trillion by 2015. Employers need Spanish speakers to help them tap into that market, not to mention the growing demand for bilinguals in other areas of the economy, such as media and construction management. Outside the US, Latin economies are booming and receiving renewed interest from international businesses, with PepsiCo moving into Mexico, and all of the baseballs used by the MLB made in one fairly small town in Costa Rica. Whatever your reason for wanting to learn Spanish, its important to have the right tutor to ensure you make progress and have fun!